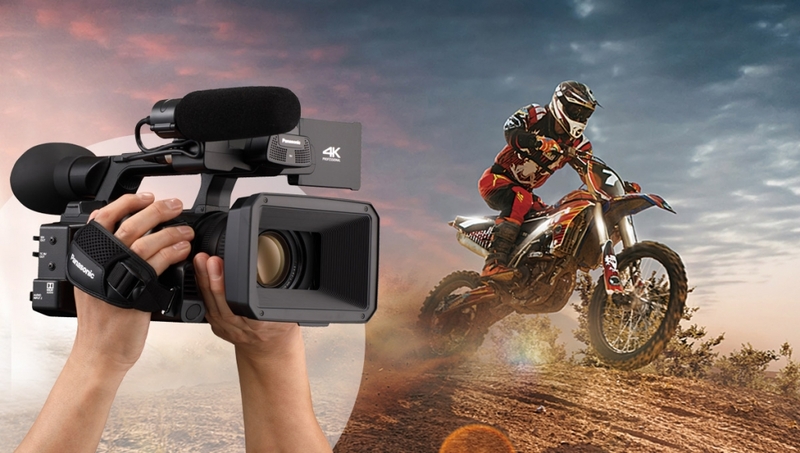 The Panasonic AG-CX350 camcorder is the first camcorder in the industry to provide NDI | HX connectivity*1. Spearheading a new Series, this model ensures smooth video transmission and camera control over IP for live events and web distribution. 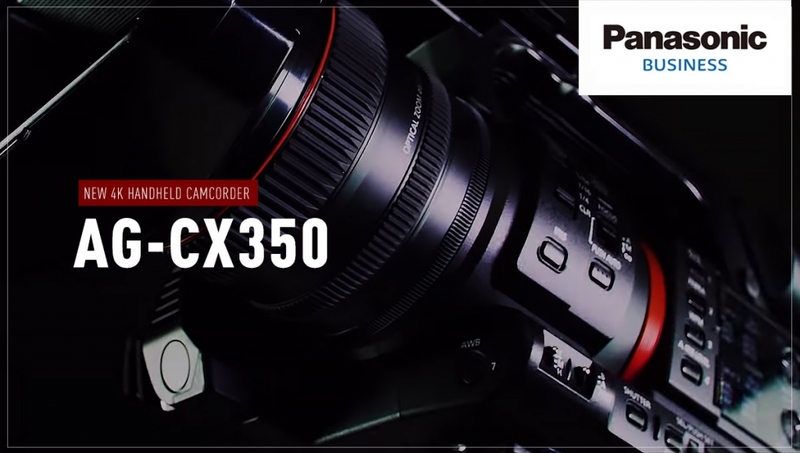 The AG-CX350 has the capability to be built in to larger systems, working alongside Panasonic PTZ cameras equipped with NDI | HX and the Panasonic Live Production Centre (AV-HLC100). The camera features a wide-angle of 24.5mm, with a high powered optical 20x zoom lens and a new high-definition, high sensitivity 1.0-type 4K MOS sensor to enable 10-bit image quality and 4K (UHD) or FHD resolution recording at up to 50/60p, on to SDXC card. It also features a HLG*2 gamma mode to support HDR image production. 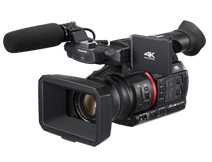 Featuring a high brightness, high definition LCD, the AG-CX350 4K camcorder also provides SDI/HDMI parallel outputs for enhanced operation and usability. Weighing just 1.9kg it has the added benefits of compact size and low power consumption. 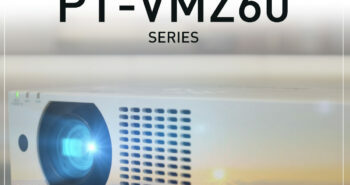 The AG-CX350 features a new, high-efficiency HEVC codec (LongGOP, 10-bit, 4:2:0, MOV). When a PC with 7th Generation Intel Core i7 processor is used, the hardware acceleration enables native decoding and playback*3. Free software, such as VLC Media Player or QuickTime Player, provides smooth playback on a notebook PC or MacBook with Intel Core i7 processor. This handheld camcorder supports a streaming function for Facebook and YouTube live with compatible RTSP and RTMP protocols. The camera will also support the MXF P2 file format, future-proofing it for potential broadcasting applications*4, enabling AVC-Intra and AVC-LongG. *1 The industry’s first as a camcorder. As of January 2019 (according to a Panasonic survey). For use, an activation key code supplied by NewTek Company is required. NDI stands for “Network Device Interface” technology from NewTek Company. *2 HLG is a standard jointly developed by NHK of Japan and BBC of the United Kingdom. 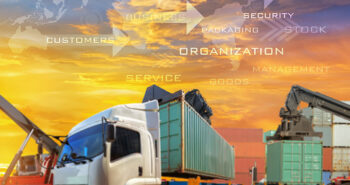 It is standardised in ARIB STD-B67 or ITU Rec.2100. *3 Playback is possible for signals that are native decoded by hardware acceleration from a computer installed with a 7th generation or later Intel Core i7 chip. Depending on the system environment, such as internal storage and memory, playback may not proceed smoothly. *4 Future firmware version upgrade for recording onto microP2 cards.